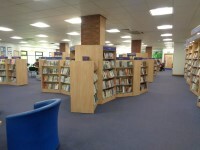 Services / facilities within the building include Ground Floor: Main reception Contact point and CAB contact point (part time) Adult library Children's library Computers First Floor: Reference Library Quiet study area Tourist information Birth and death registration (part time) Local studies and archive centre Computers. 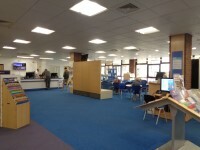 Related link Bexley Citizens' Advice Bureau. 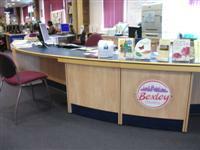 Related link Bexley Register Office. 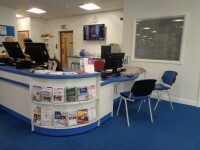 You are on Opening Times (Citizens' Advice Bureau Drop-in sessions). Skip to the next section. 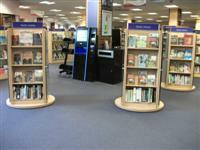 This venue is situated in Bexleyheath. The nearest mainline station is Bexleyheath. The name of the car park is Broadway Shopping Centre Car Park. The car park is located off Albion Road. 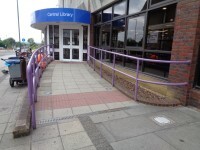 There is a clearance of 100cm through the security barriers after the main entrance doors. 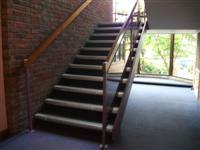 The first photograph is for the main entrance to the left as you face the venue. 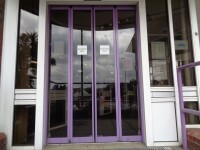 The second photograph is for the main entrance to the right as you face the venue. 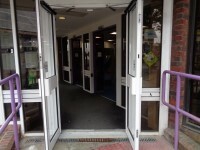 The third and fourth photographs show the second entrance and security barriers. 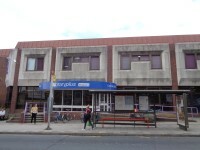 The ramp/slope is located to the right as you face the building. 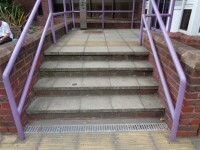 The step(s) is/are located to the left as you face the building. 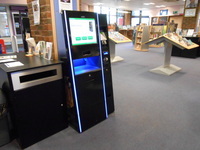 You are on Reception (Main Reception - Ground Floor). Skip to the next section. 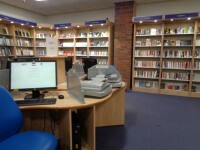 Equipment available for people with a visual impairment includes a Kurzweil Reading Machine. 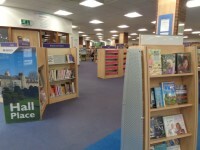 Braille books for children are by request only. 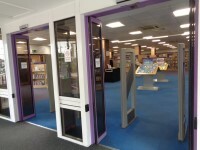 The lift is located to the left after the main entrance. 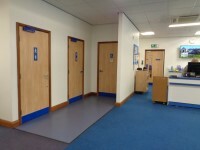 The floors which are accessible by this lift are G, 1. 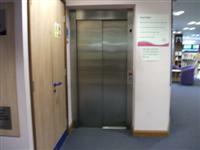 The lift is approximately 11m (12yd 1in) from the main entrance. 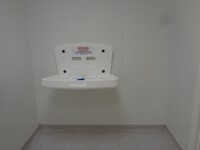 The dimensions of the lift are 110cm x 208cm (3ft 7in x 6ft 10in). 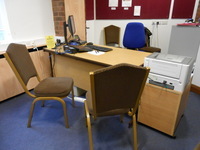 You are on Reception (Local Studies & Archive Centre - First Floor). Skip to the next section. 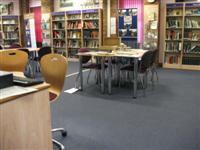 The desk/counter is 2m (2yd 7in) from the entrance to the archive centre. 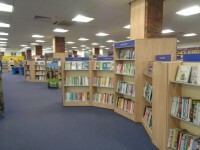 You are on Reception (First Floor). Skip to the next section. The desk/counter is 8m (8yd 2ft) from the lift. 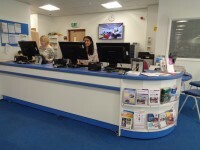 You are on Reception (Registration Office - First Floor). Skip to the next section. 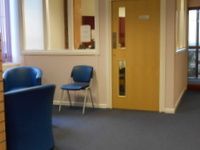 This office is open for the registration of births and deaths as an alternative to visiting the main register office at Danson House. Meeting are by pre-booked appointment only. 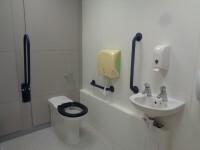 This accessible toilet is located near the reception desk, to the right from the main entrance. 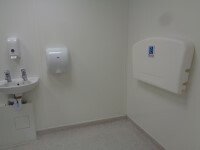 The dimensions of the accessible toilet are 154cm x 250cm (5ft 1in x 8ft 2in). 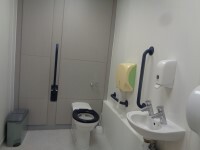 The shared toilets that were surveyed are located near the reception desk, to the right of the main entrance. 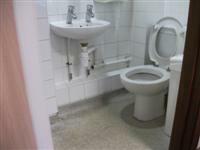 The shared toilet(s) is/are approximately 15m (16yd 1ft) from the main entrance.